Located in front of the Saibaba Mandir Dargha, Hotel Rama Krishna is a fine place to stay for the people visiting Bhopal. The hotel is secured with CCTV cameras all around the place, making it a safe place to stay. Withavailability of basic and modernamenities such as free Wi-Fi and power backup, the hotel exudes a tech-comfortable environment. 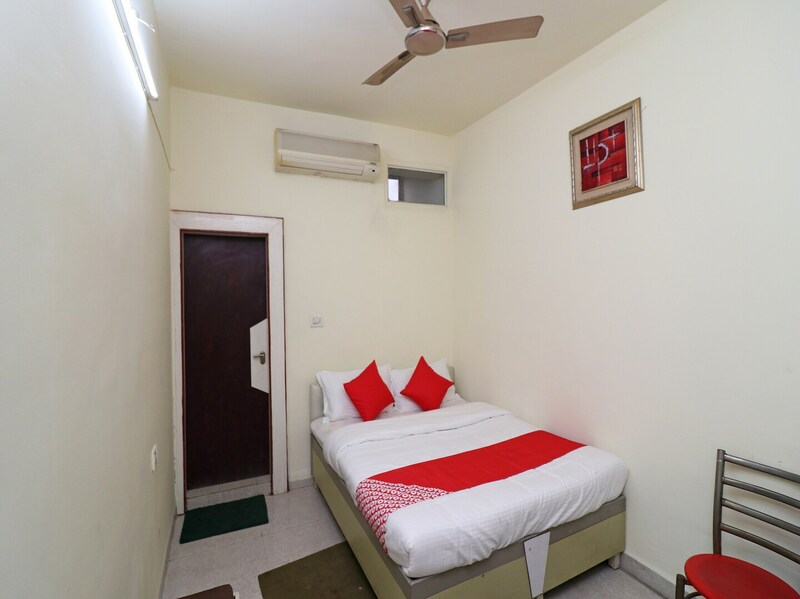 With the colour theme oflight colored walls and red and white bed furnishings, the hotel seems to be a warm and cozy place to live in. The hotel also becomes ideal with a lot of restaurants around it, seducing the taste buds of the guestsstaying there.